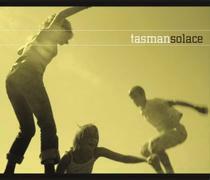 Last night, Tasman uploaded the first video clip of the title track from his debut album "Solace". Besides the fact that the song is quite good with its own atmosphere, a very good job in the video has been made by Paulina Ziogka ( site ). The album "Solace" is released by Undo Records/EMI and of course you can hear some clips at the MySpace page of Tasman . Pay particular interest in "The Cloud of my dreams", which for me stands out in the album.